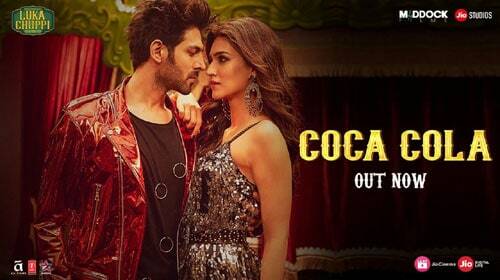 Coca Cola Lyrics – Luka Chuppi: The new song from Luka Chuppi is out. The lyrics of the song has been penned by Tony Kakkar and Mellow D and the music has been composed by Tony Kakkar. The song has been sung by Neha Kakkar along with Tony Kakkar. This song is from the upcoming movie Luka Chuppi which is releasing on 1st March 2019.